Faced with shortage of pulses and increasing prices, India plans to encourage private companies to acquire land for exclusively growing pulses in Myanmar and supply them back to India. Myanmar is the largest exporter of pulses to India. According to a senior agriculture ministry official, India sent a delegation to the neighbouring country on May 19 to broker a long-term arrangement for government-to-government procurement of pulses. The official said the country plans to import nearly half of its pulses from Myanmar in the next few years. “But it is in a premature stage,” he adds. Siraj Hussain, former secretary of Union agriculture ministry, says the idea of encouraging private companies to grow pulses in Myanmar had been in discussion for the past five years. “But the problem was how to ensure competitive prices to these companies in the long-term,” says Hussain. Private companies have welcomed the move. “Profit margins are huge in producing outside and importing into India,” says Nitesh Patel, president, Gujarat Pulses Producing Associations. “Right now, our members are engaged in contract farming in African countries such as Tanzania, Mozambique and Sudan. After government facilitation, we are willing to move to Myanmar,” he adds. Currently, two Indian companies—Tata International and ETG—are operating in Myanmar on their own. While the move has left the business community happy, there is a fear that imports will further push pulses prices. The domestic price of pulses, which was Rs 60-80 per kg in 2014, has already peaked to Rs 150-200 per kg for more than a year. India, at present, is buying pulses from Myanmar at Rs 1 lakh per tonne ($1,500/tonne). 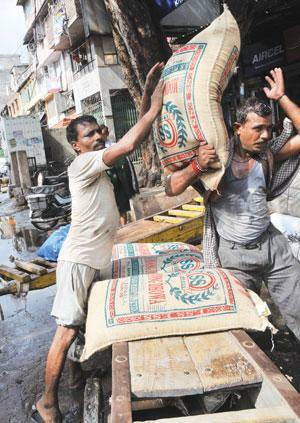 “Going by the demands made by the Indian government, the price may go up to Rs 136,000 per tonne ($2,000 per tonnes),” says U Tun Lwin, chairperson of Myanmar Pulses, Beans and Sesame Seeds Merchants Association. So why Myanmar? For starters, it has a climate that is conducive for growing pulses. Add to that Myanmar’s proximity to India and its government policies favouring farming. And finally, Indian government’s failure to increase domestic production of pulses despite growing demand. In 2012, the Myanmar government enacted the Vacant, Fallow and Virgin Lands Management Law, which aims to make vacant or uncultivated land available to companies at a concessional rate. According to a 2012 report by Spanish non-profit GRAIN, the Myanmar government plans to bring an additional 4 million hectares under agribusiness by the law. “Myanmar’s climate is ideal for piegeon pea and urad. The new agreement and assurance of India to Myanmar may also allow other middle size companies to venture into pulses business,” says Vinay K Soni, Head, Business Consulting, Foretell Business Solutions Pvt Ltd, India. Currently, India sourced around 21 per cent of its imported pulses from Myanmar (1.2 million tonnes). In 2007, India waived off import duty on pulses. N P Singh, director, Indian Institute of Pulses Research, Kanpur, says while the Indian government has been helping Myanmar, it has largely forgotten domestic players. “It requires a political will to assure farmers guaranteed procurement. Instead, we are encouraging other countries to grow and paying double price for it,” says Singh. Even the the minimum support price (MSP) for pulses this kharif season is Rs 50,000 per tonne, which is half of what the country is willing to pay for pulses from Myanmar. The average consumption of pulses in India is around 55,000 tonnes per day. According to Commodity India, an agri-business consultant service provider, the acreage of pulses has increased in Australia, Canada and USA in view of rising demand from India. But pulses production of India has stagnated around 17-17.5 million tonnes (MT), with demand around 23 MT. “Once the government announces guaranteed procurement of pulses, farmers can make the country self-reliant in pulses production,” says food and agriculture analyst Devinder Sharma. “There is no long-term vision in place to encourage indigenous production. Looking at other countries will not ever solve the problem,” Sharma adds. India has in the past encouraged private companies in African countries for agri-business like production of palm-oil and pulses. But the experiences have not been good. The companies were engaged in illegal land grabbing which earned the country a bad name. Experts are especially wary of Myanmar, which was till recently a military-ruled nation. Praveen Jha, who teaches economics at the Jawaharlal Nehru University (JNU) in Delhi, says there is a kind of secrecy maintained around India’s Look East policy in the era of Free Trade Agreement. Jha has done detailed study of land acquisition by Indian companies in African countries for agri-businesses. “In April this year, I made an inquiry to the RBI regarding investment details of Indian companies in agri-business in Myanmar. I was told by a senior RBI official that no record has been maintained regarding agri-business investment,” Jha says. “Sooner or later bubble of India’s Look East policy will burst by land grabs headlines,” Jha adds. Jennifer Franco, Research Associate, Transnational Institute (TNI), Amsterdam, who has done a study on land issues in Myanmar, expressed concerns over food security of the country. “Because of high demand from India, farmers are already switching to beans and pulses in Myanmar. The entry of Indian companies might further increase pulses production, which might create serious food security issues. So, the news is a cause for concern,” says Franco. The story was published in the 1-15 July, 2016 issue of the magazine.